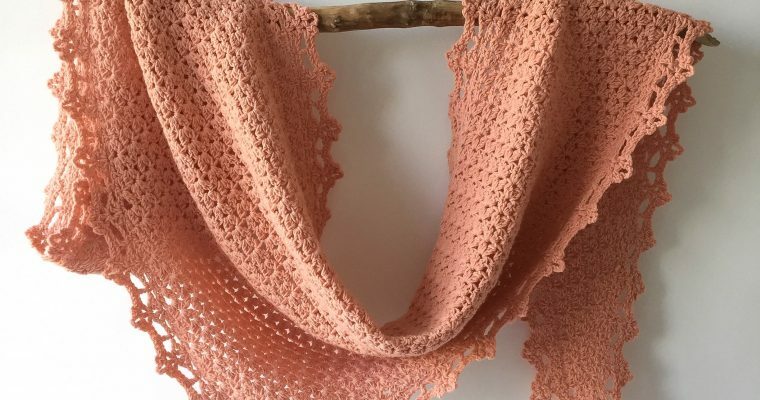 There are many very talented crocheters out there, and one of those crochet stars most definitely is Sandra Eng, aka MobiusGirl Design / MobiusGirl. 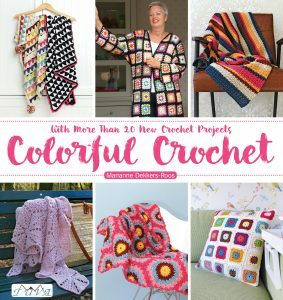 If you love crochet, I’m sure you’ve seen Sandra’s fabulous work before, and most likely have crocheted one/some of her beautiful patterns. Not long after I joined Instagram, I found Sandra there, and we became insta-friends. 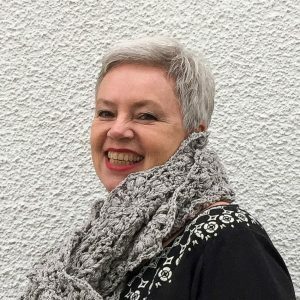 Last year we had the pleasure of meeting in real life, when Sandra visited The Netherlands (you can read more on her trip here). Once more I was proven correct that when you actually meet the people you feel a connection with through social media in person, it’s like meeting a friend you’ve known for a long time already. Especially when they’re creative friends: sharing a passion makes things even more special. I was lucky to spend quite some time with Sandra: of course we went sight-seeing, and yarn shopping, but – cherry on the cake – we crocheted together as well: sooo much fun! In 2016 “Modern Crochet Mandalas” was published, and Sandra was one of the contributors to that truly beautiful book. Having shown long since by that time what a fantastic designer she is, I do not think it was a surprise when Sandra announced shortly after the release of this book, that she would be publishing her own book, one that would contain 100 (one hundred!) 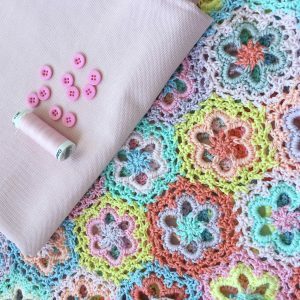 unique “MobiusGirl Design”-crochet motifs! 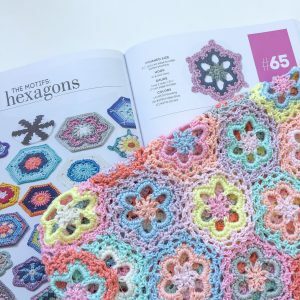 I know I have been one of many to have been eagerly awaiting the publication of “Crochet Kaleidoscope”, and boy-oh-boy, what an absolutely brilliant book this is! 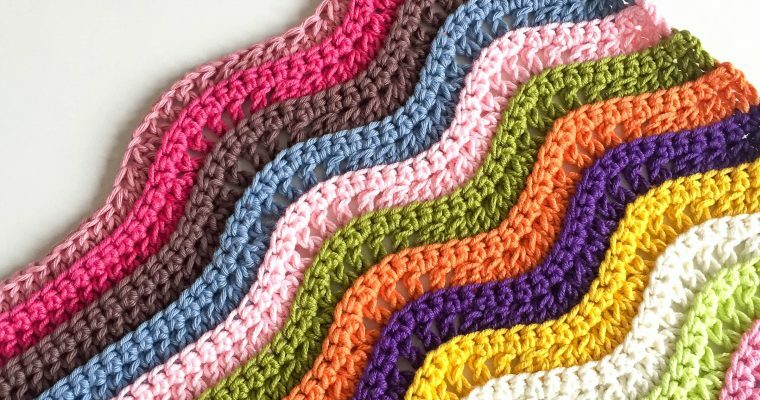 You would think all possibilities to come up with a new motif, would have been explored and written down by now, but leafing through Sandra’s book, I see a whole lot of new, delightful crochet motifs, that makes you want to pick up your hook right away, and start crocheting. This is exactly what I did, and I cannot tell you how much I’ve enjoyed working on my “Mobius Spring Cushion”! 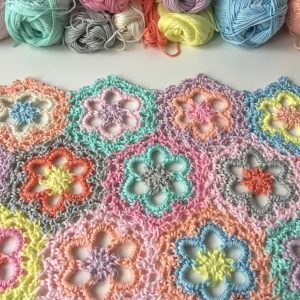 I picked – rather unusual for me – pastel colors for this project, all screaming “spring”, and simply looking at them made me happy. Now that I’m typing this, I’m thinking “that sounds kind of silly”, but it’s true, a nice mix of colors can make me, well… happy! Given the response on my Instagram and Facebook posts, I now know I’m not the only one :-)! So it’s with great pleasure that I present to you my “Mobius Spring Cushion”! 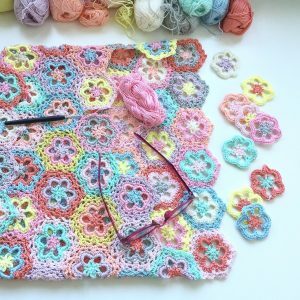 It is 40 cm x 40 cm, and has 75 hexagons, that are all crocheted with a mix of 100% (mercerized) cottons and a 3,5 mm hook. 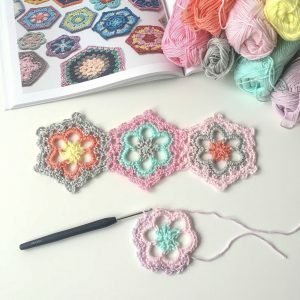 Each hexagon has 3 colors, and I attached the motifs using a ‘join-as-you-go’ in the last round. 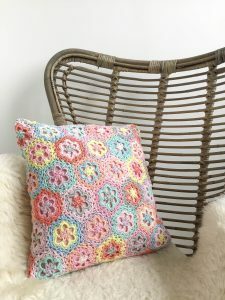 At the back the cushion closes – bottom ánd top – with a double row of hexagons, that fold over the top and bottom part of the back and close with cute pink buttons. 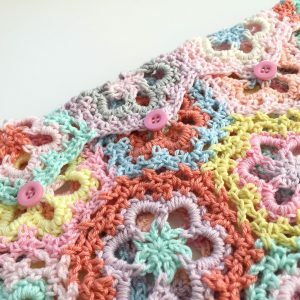 I’ve sewn an envelope-style cover – in a soft pink cotton fabric – to go underneath the crochet cover, and I’m really pleased with the soft pink backdrop for the crochet. The cushion is listed in my Etsy-shop. 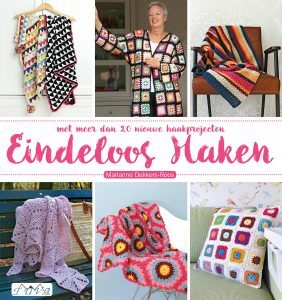 Nothing but BIG love… for Sandra’s book, and the project I made using one of her fantastic designs! More will follow, that’s for sure! 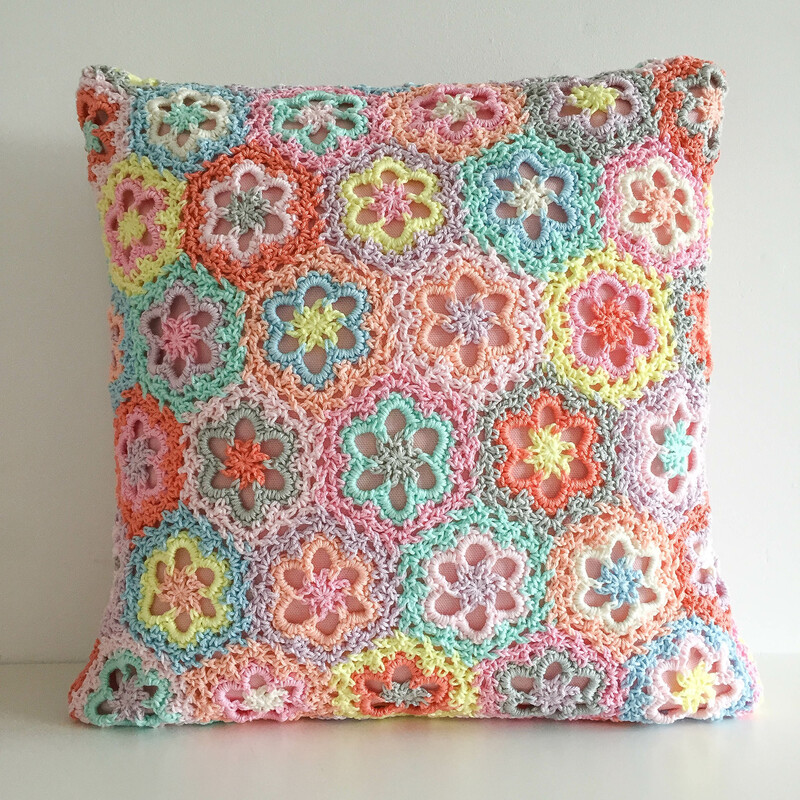 What a beautiful, and colourful cushion is this. 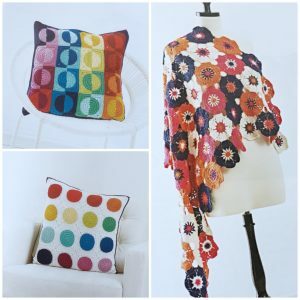 An inspiring book indeed and a truly beautiful cushion made Marianne style…gorgeous! What a beautiful cushion! I love the colors you chose. 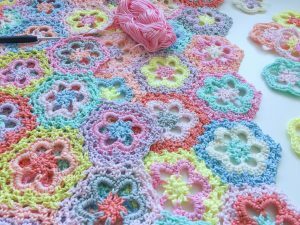 I reviewed the book recently on my blog too and made the Vintage Bauble Blanket. It’s glorious too and is a sample in the yarn store where I work. Such a super book! PS: going to read your blog post now! Lovely post! 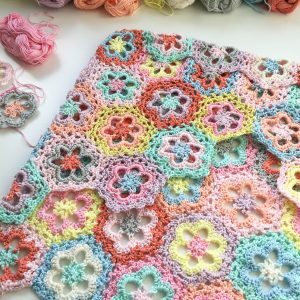 I adore the colors you picked for your blanket! Oh, and what a funny coincidence: I’ve lived in Houston (1998 – 2001); Cypress to be more precise! What a lovely review, thank you! 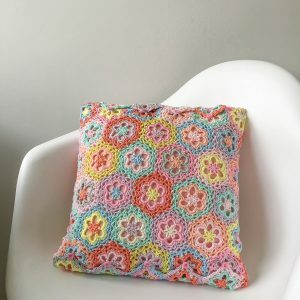 I adore the colors you’ve chosen for your beautiful cushion. And I’m so very happy we had the opportunity to meet in person! You’re so welcome, Sandra! 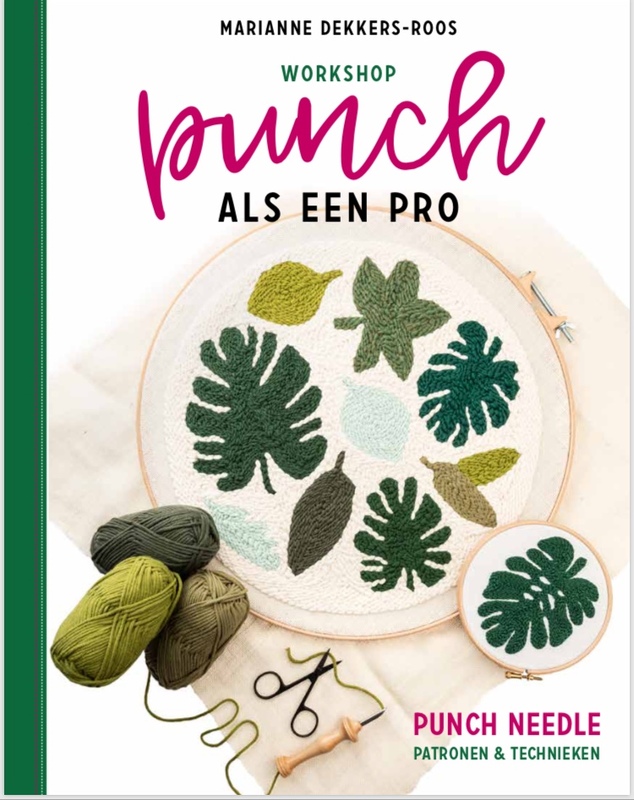 I think you know me well enough to realize I never say things I don’t mean: your book is a gem, and I will definitely crochet more loveliness from it!